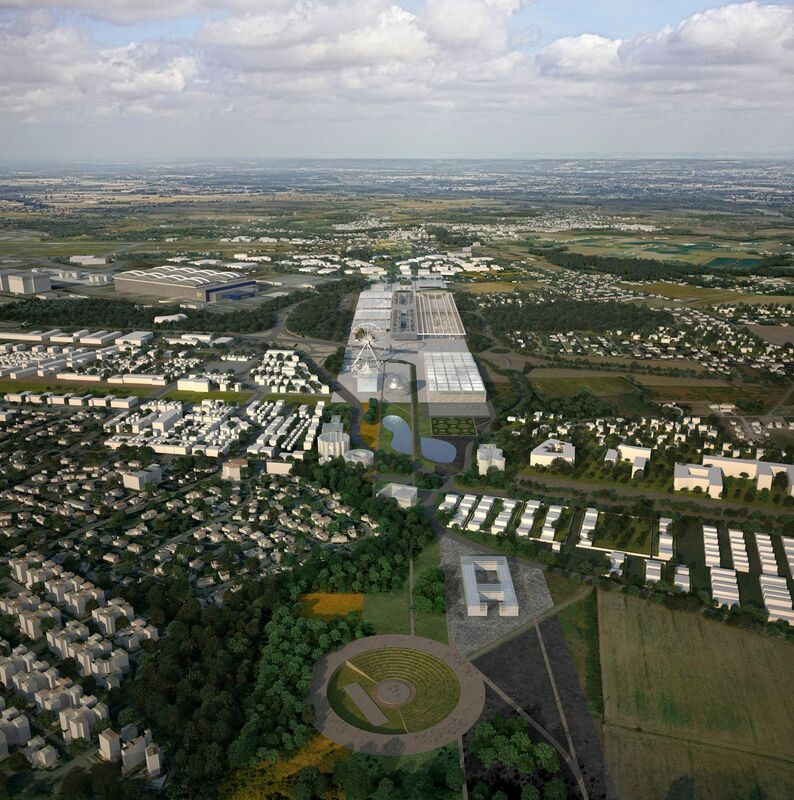 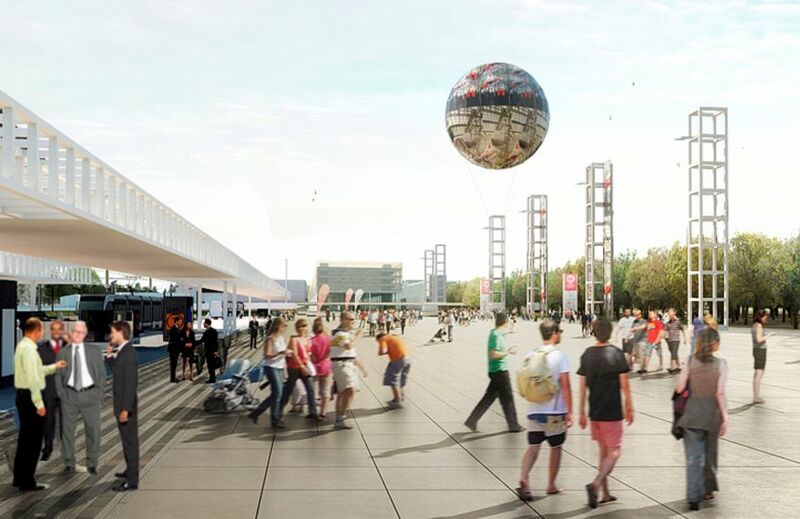 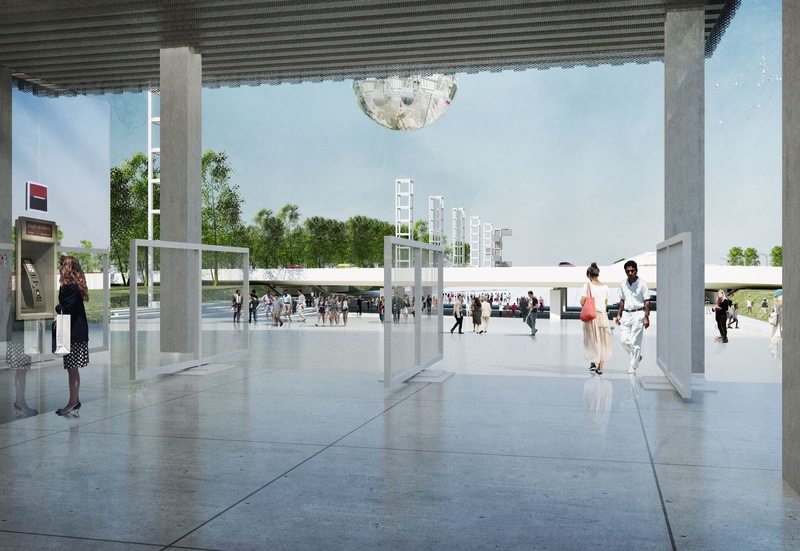 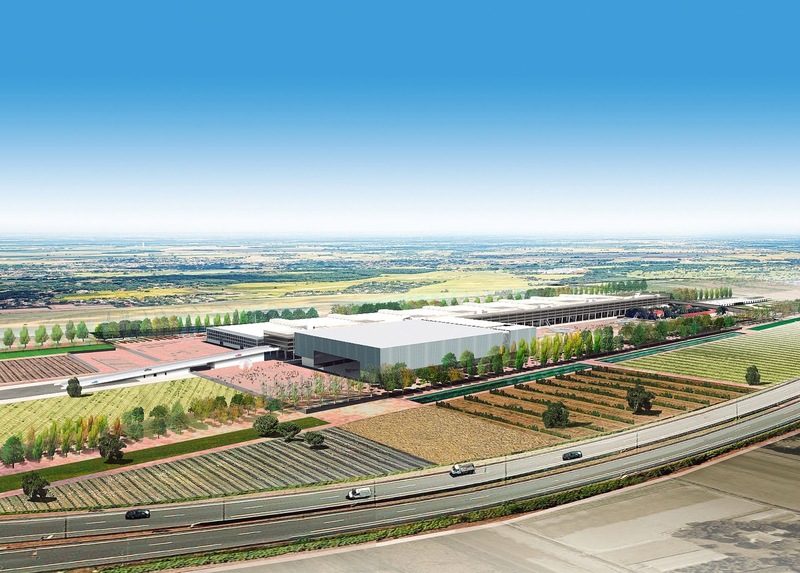 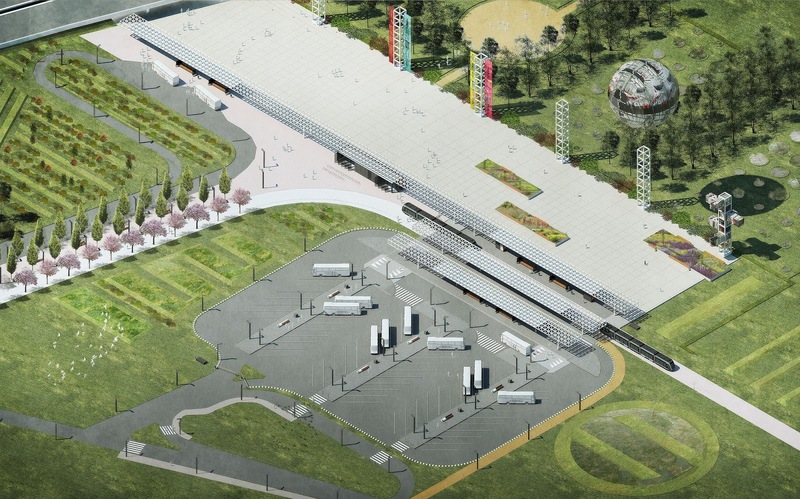 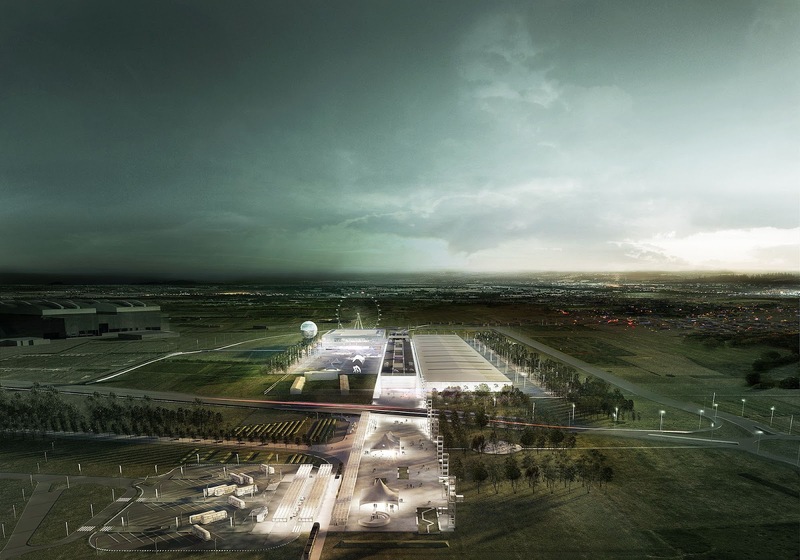 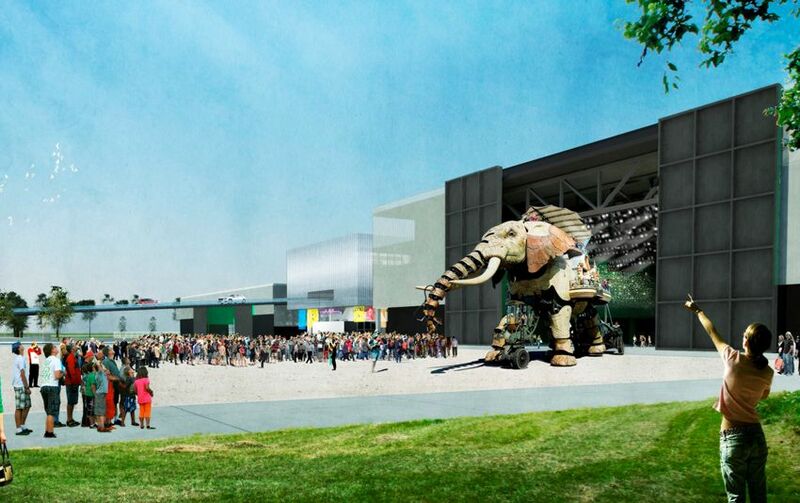 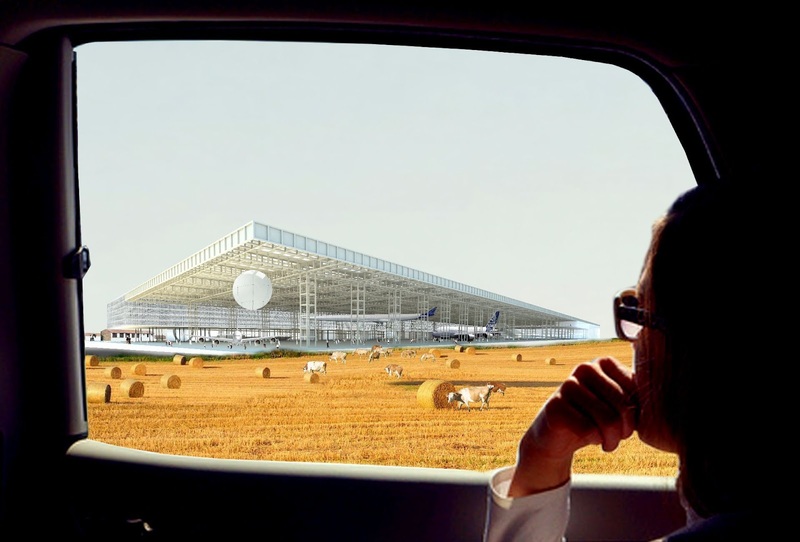 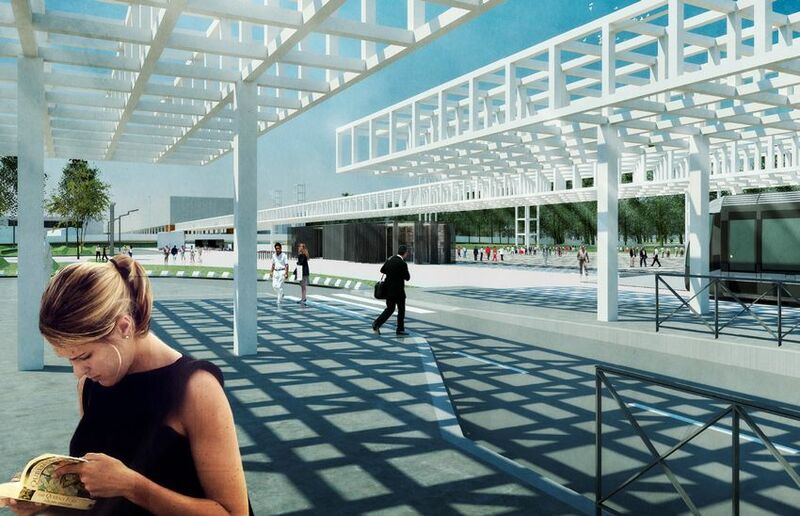 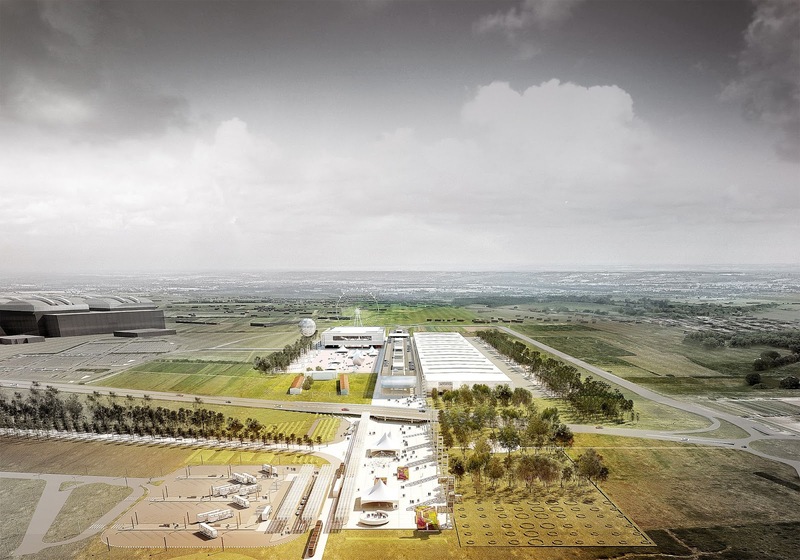 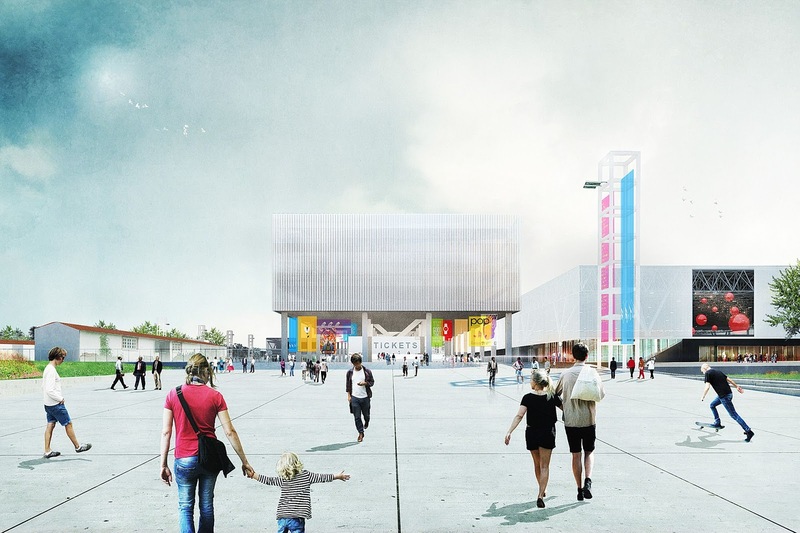 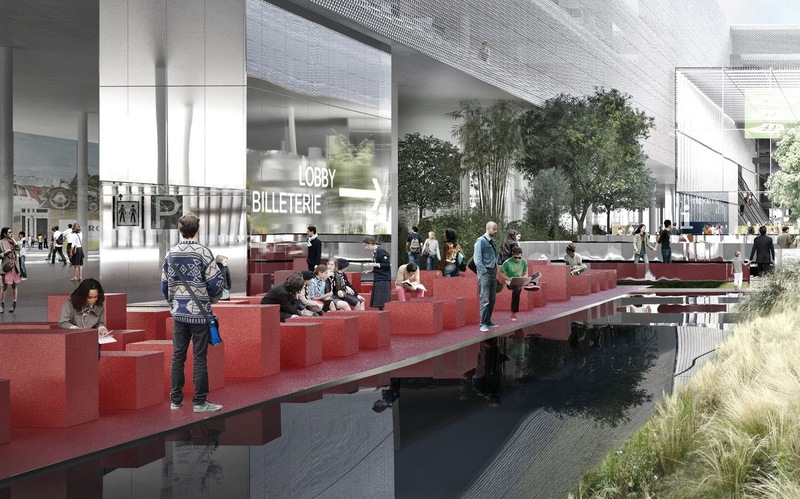 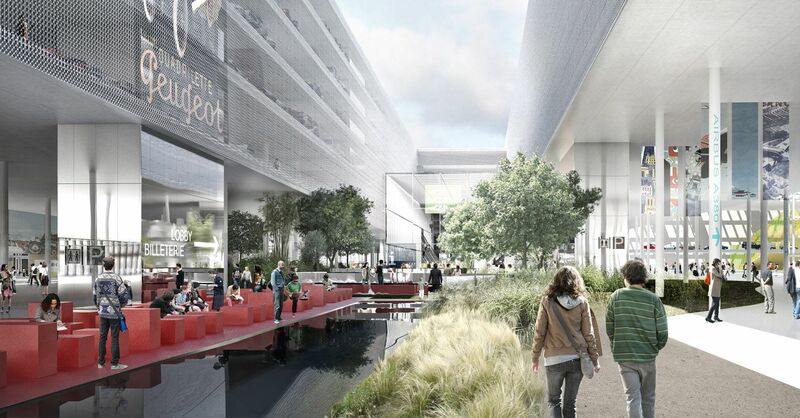 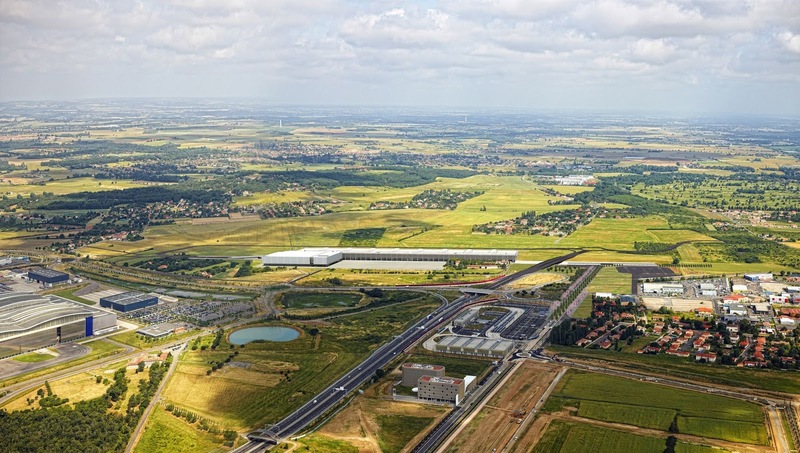 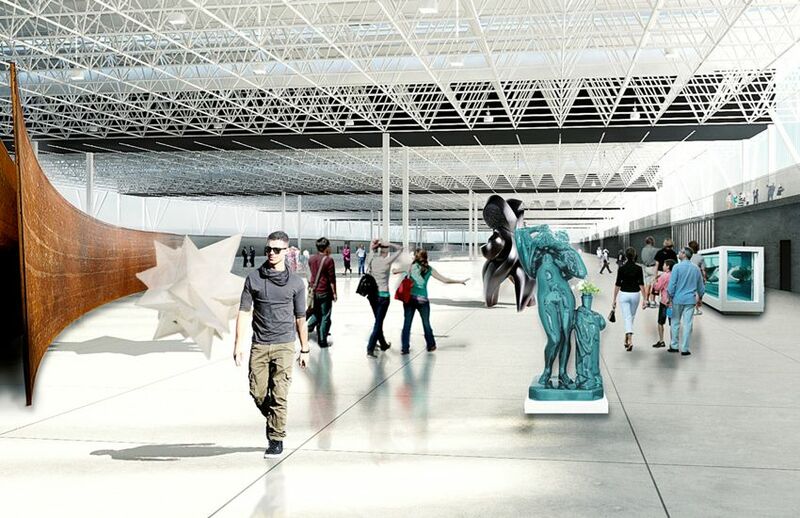 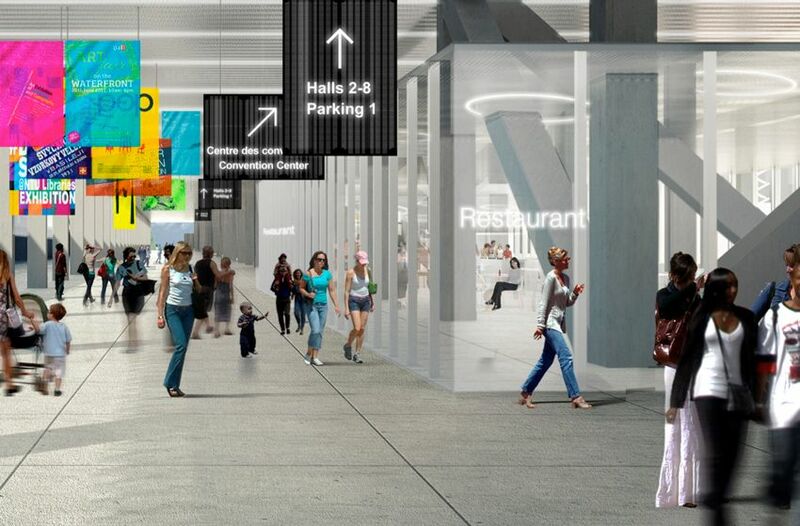 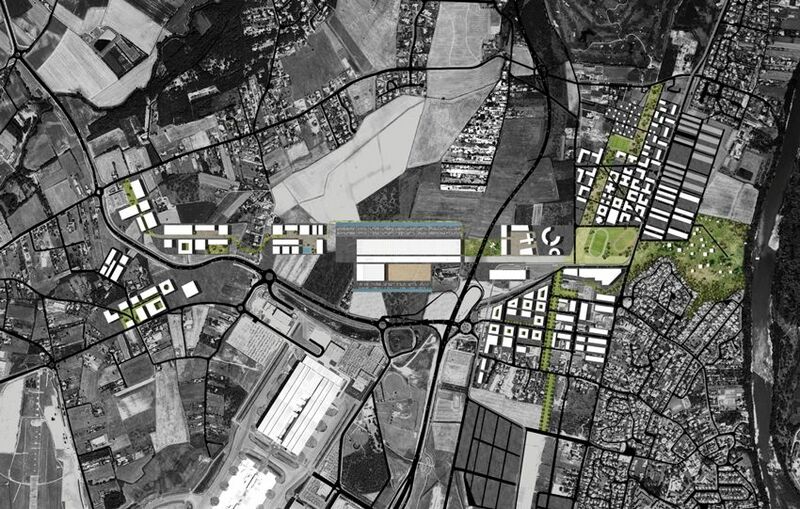 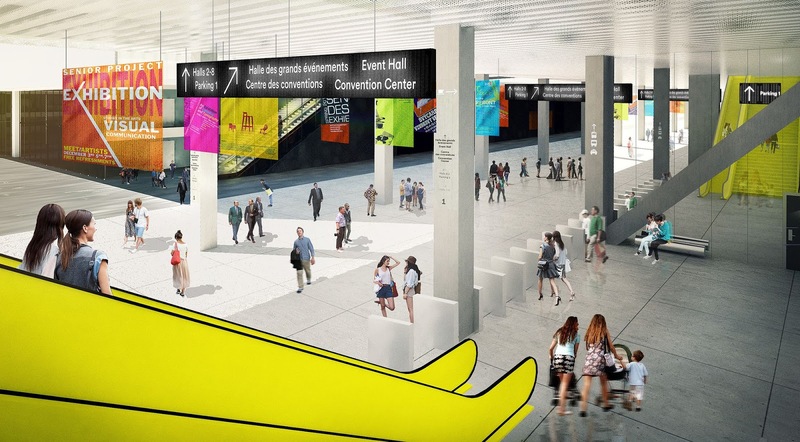 The new Parc des Expositions (PEX), in the innovation zone of Toulouse, southern France, is a project that is not only about architecture, but infrastructure. 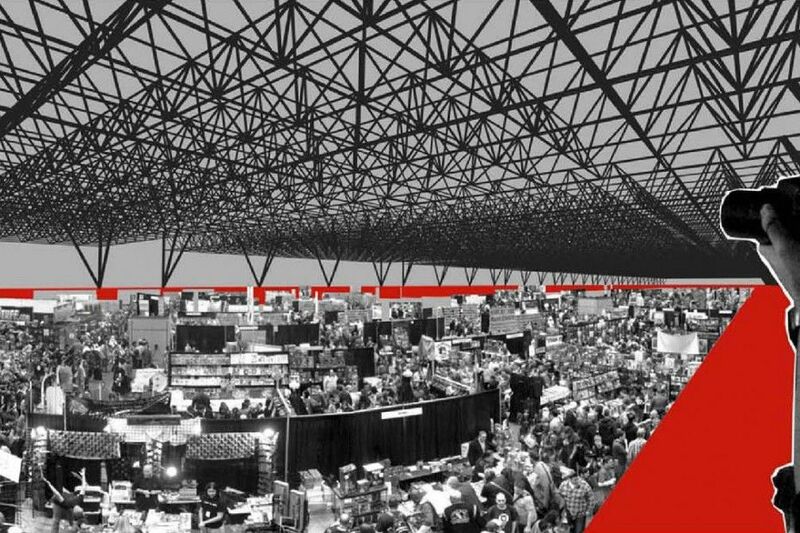 PEX is designed to be a condenser for diversity, a machine that can produce an infinite amount of possibilities. 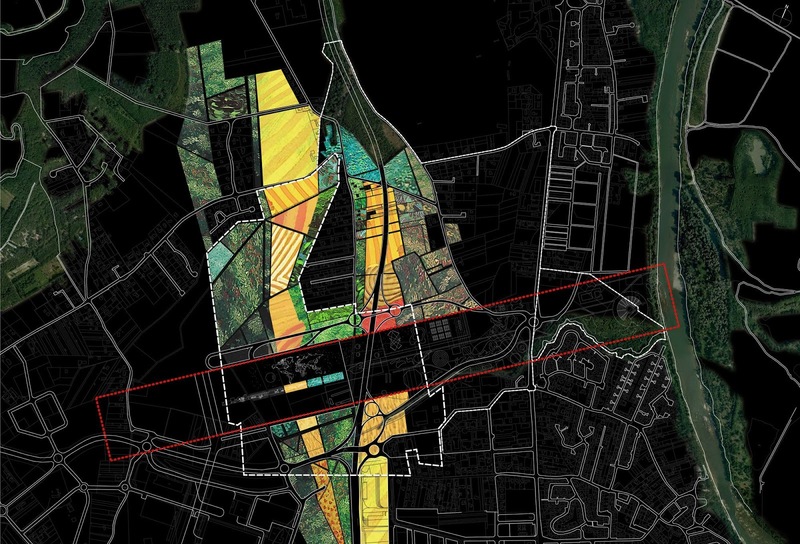 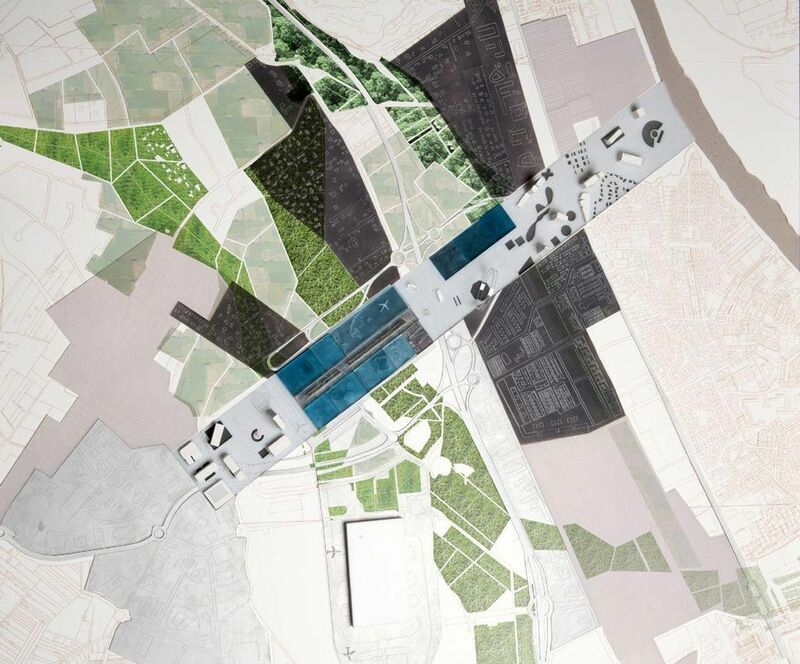 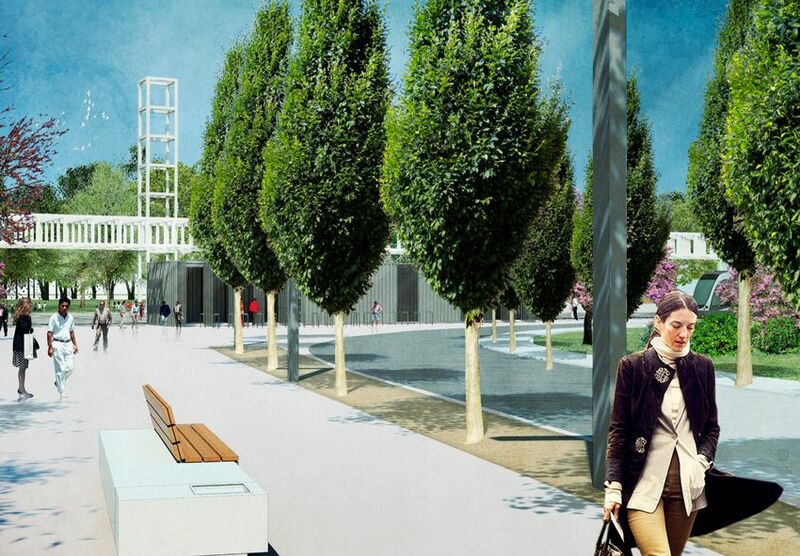 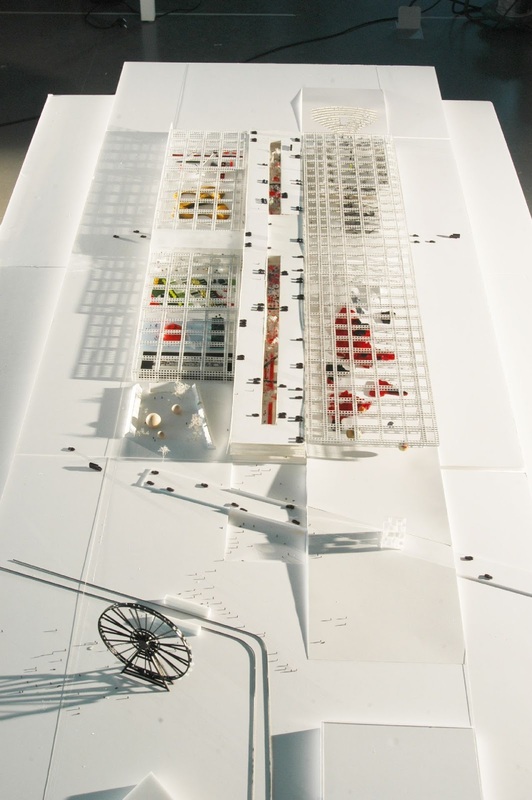 The project is a compact mini-city - an antidote to the sprawl of a standard exposition park, and a means to preserve and guide the surrounding French countryside. 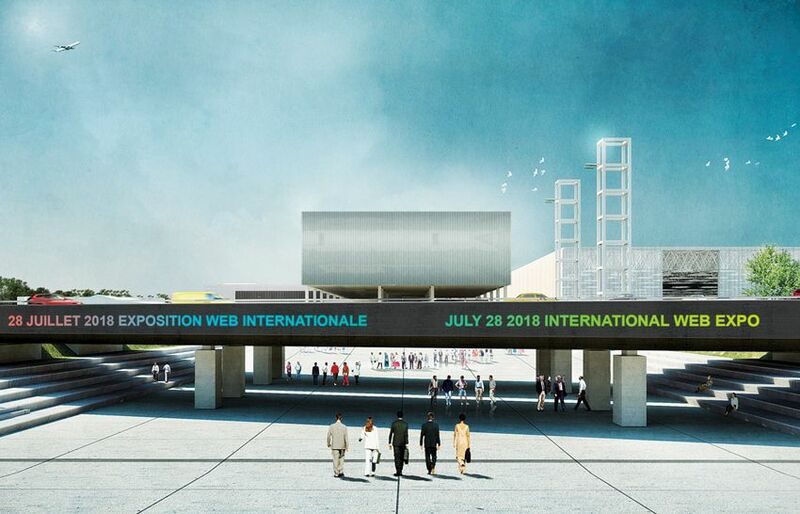 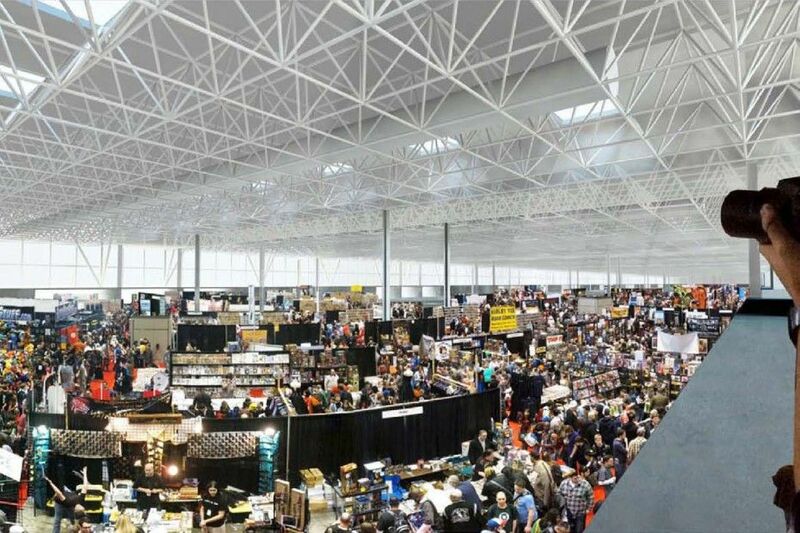 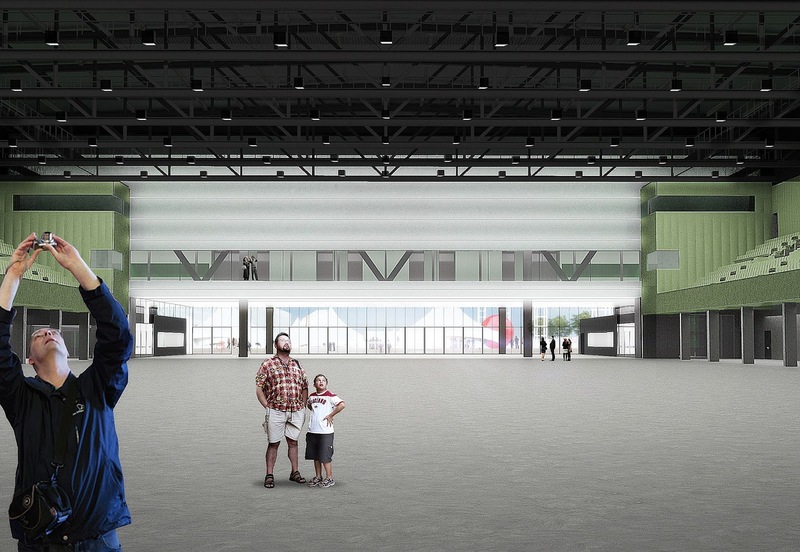 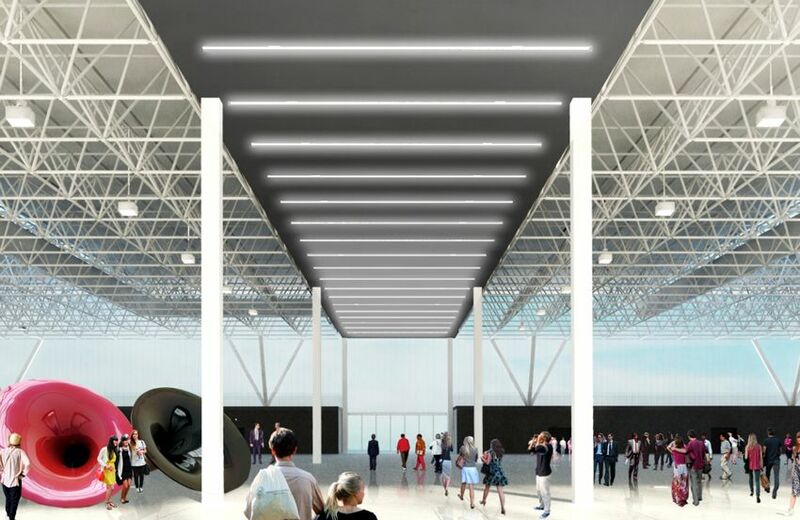 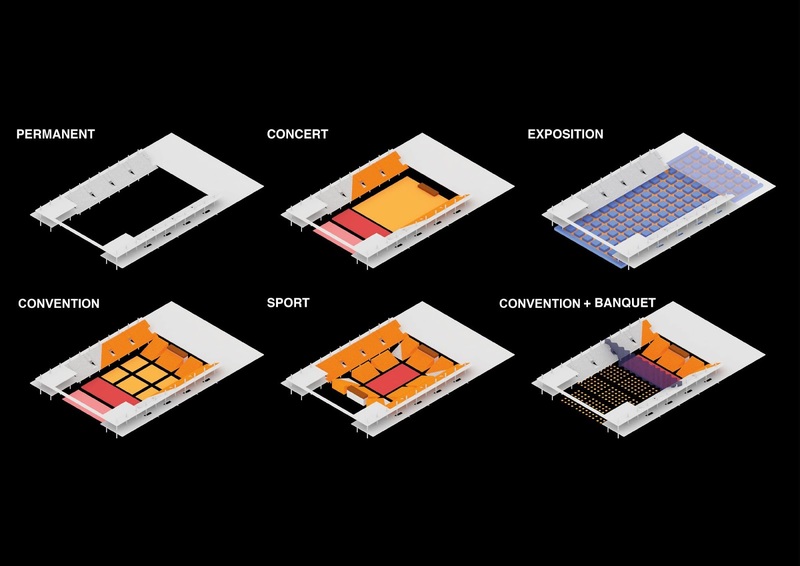 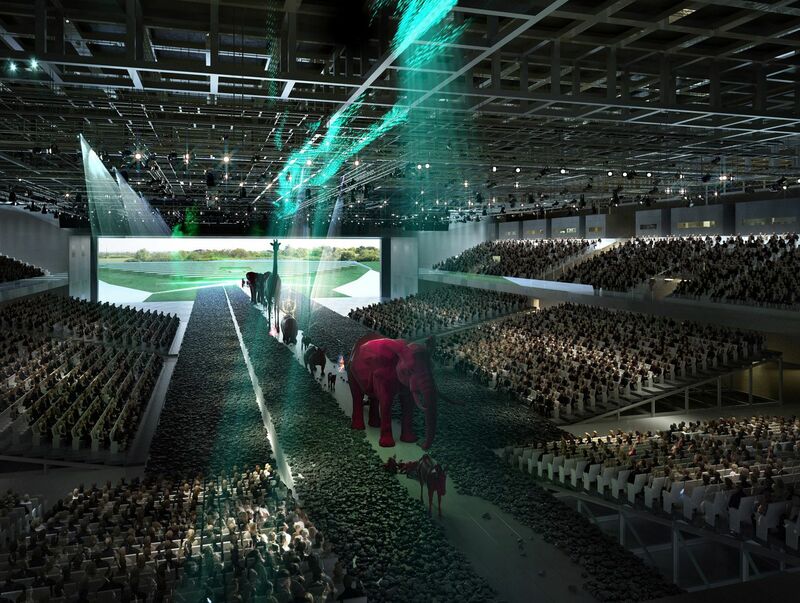 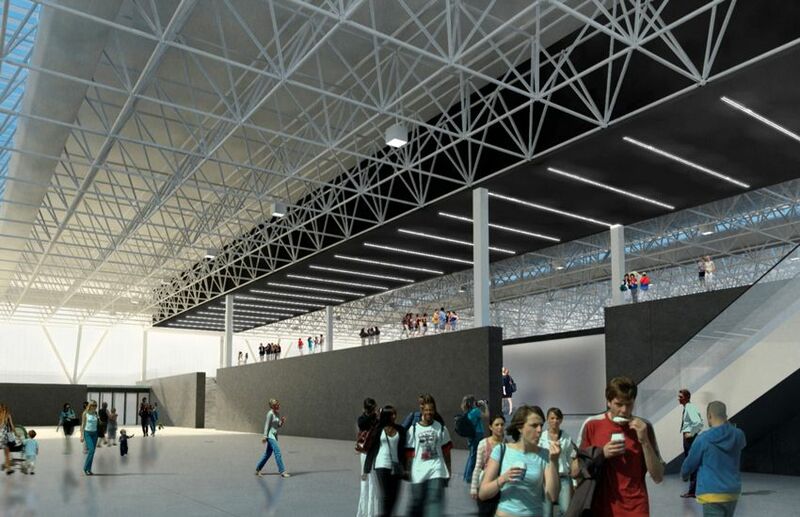 PEX consists of three parallel bands: the multi-function Event Hall, with a massive doorway allowing performances to spread outdoors; a 45,000 m2 column-free Exhibition Hall; and, in the middle band, a parking silo for 3,000 cars. 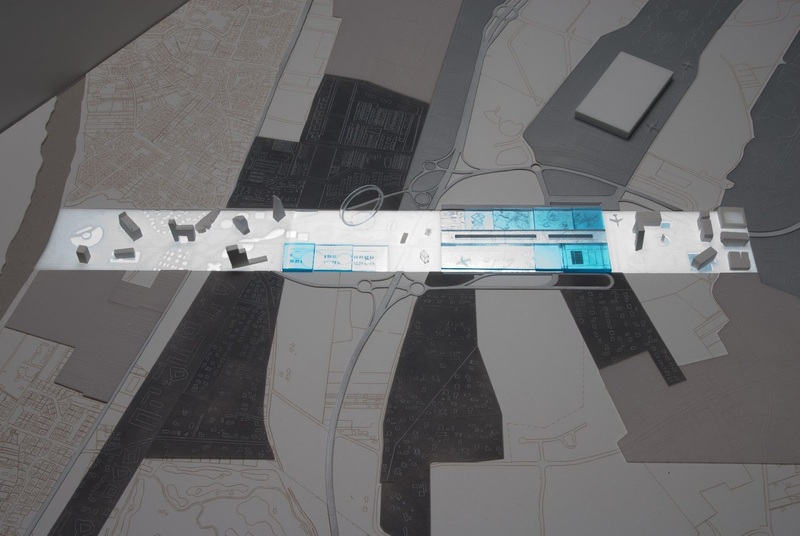 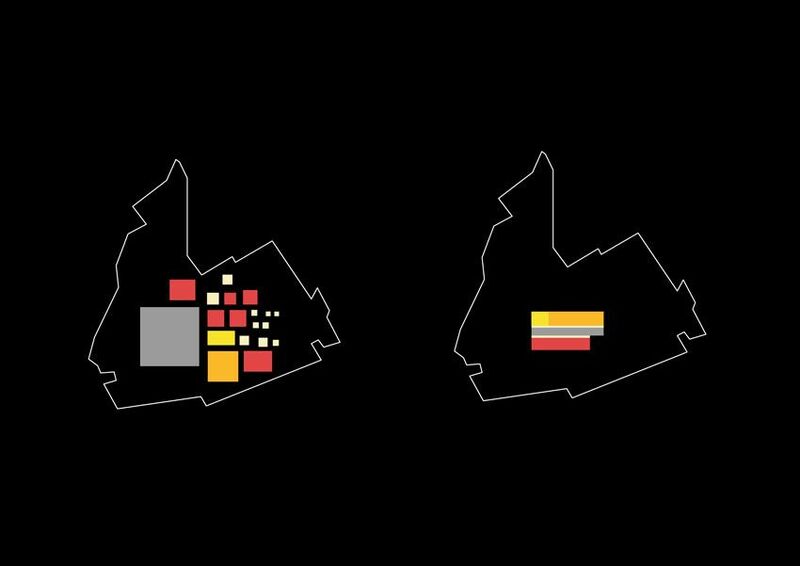 Instead of banishing parking underground or pushing it to the periphery of the site, parking are in the center and cover a spine where amenities and access to the hall are developed. 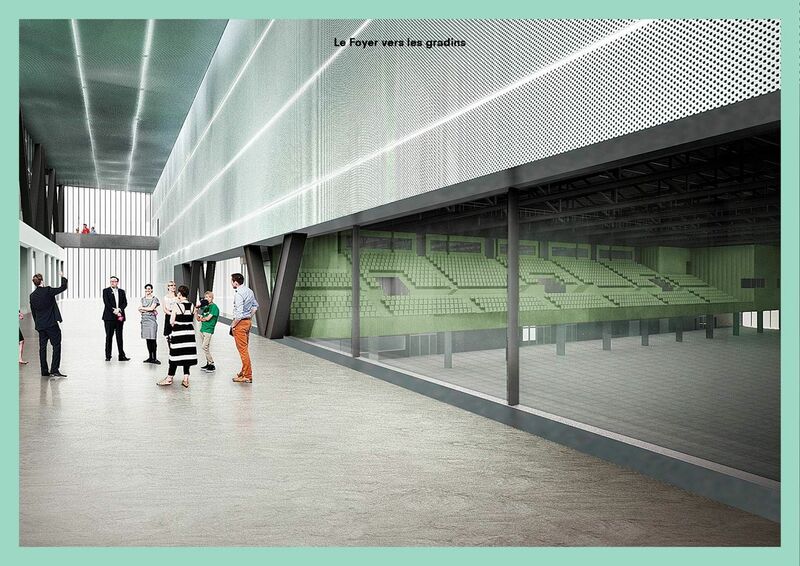 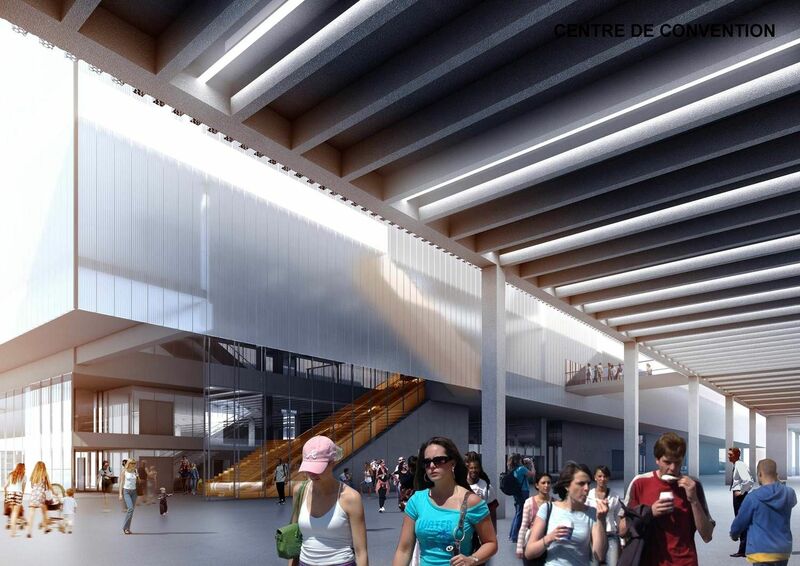 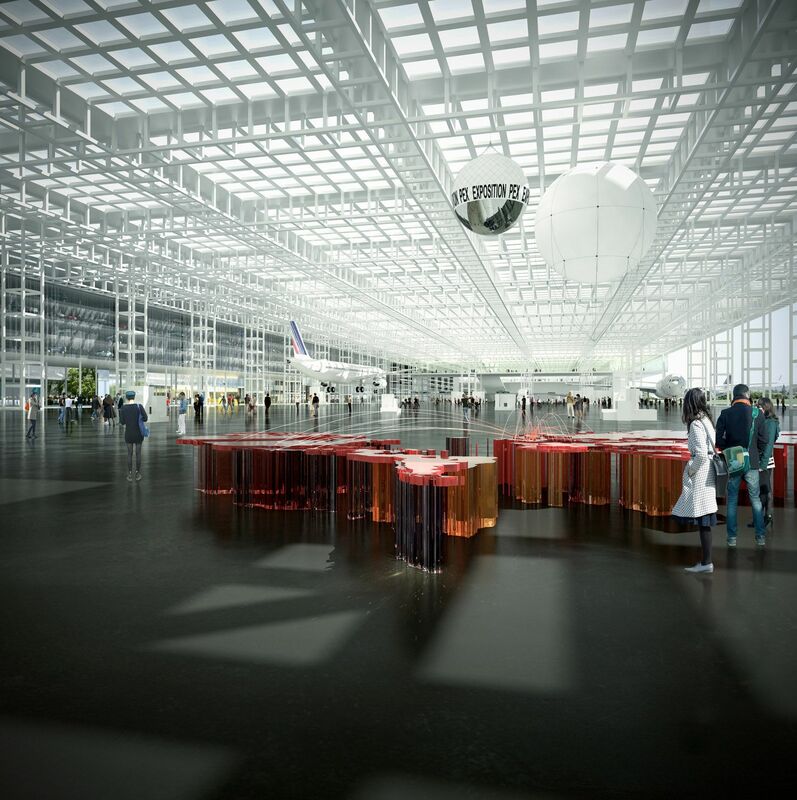 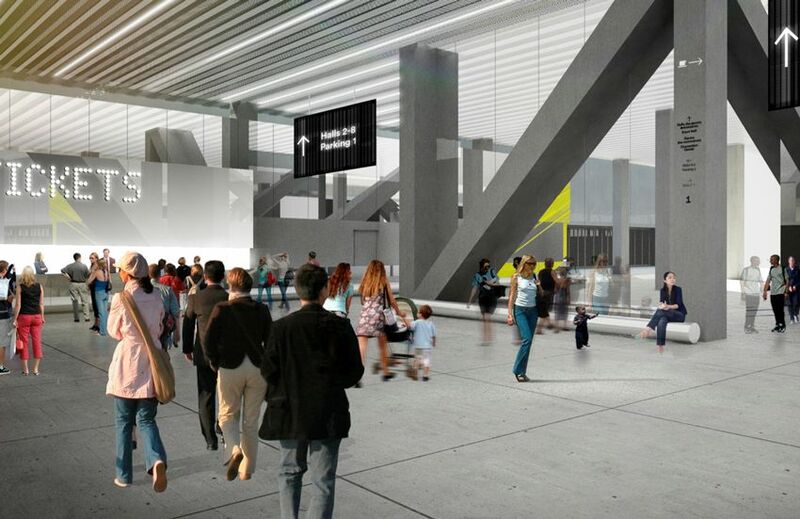 PEX, both monumental in its horizontal scale and subtle in its overall impact, will be the new gateway to Toulouse….